So when Dirk Human (owner of Black Oystercatcher Wine and Fraser’s Folly) said he had four brandy barrels that were 10 years old, I said that he had to give them to me to make something very special. More than a year later, we released the first beer in our Brewer’s Reserve range – our Brandy Cask Finished Ale. SO FAR, THE FEEDBACK HAS BEEN TERRIFIC. 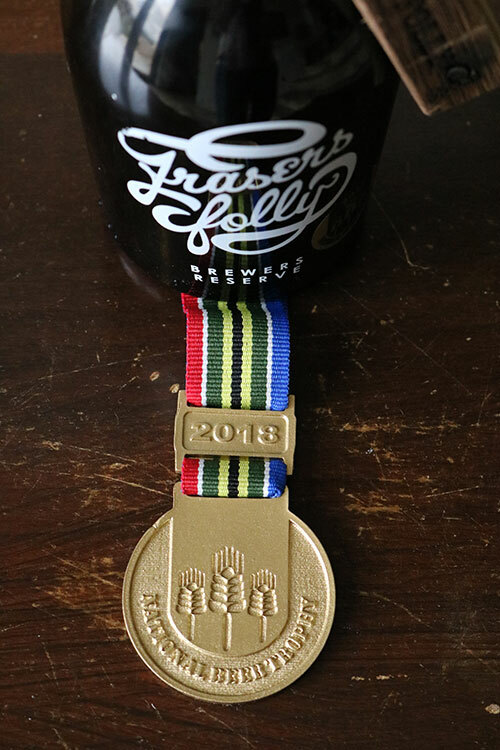 The beer won the Best Speciality Beer Trophy at the South African National Beer Trophy Awards in 2018. The brandy barrels have really helped capture the many layers you’ll now experience in our barley wine. On the nose: It’s got a strong sherry character from oxidation in the barrel, with layers of raisin and other dried fruit, and of course some big upfront brandy aroma and lots of Christmas spice aroma from the casks. The flavours you’re likely to get on the palate include salted caramel, dates and gingerbread. As well as a follow through with the sherry notes and some alcoholic heat. I was inspired by the beer created by Scottish craft brewery Innis & Gunn – well-known for barrel-ageing their beer. In our case, the beer sat in the brandy barrels for more than a year. The beer had an ABV (alcohol by volume) of around 8% when it went into the barrels. And we got an extra 3% just from the barrels. The brandy barrels have their own great story. They were used by The Drift’s Bruce Jack and Dirk at the Black Oystercatcher to make a brandy from some excess Cab they had one harvest. 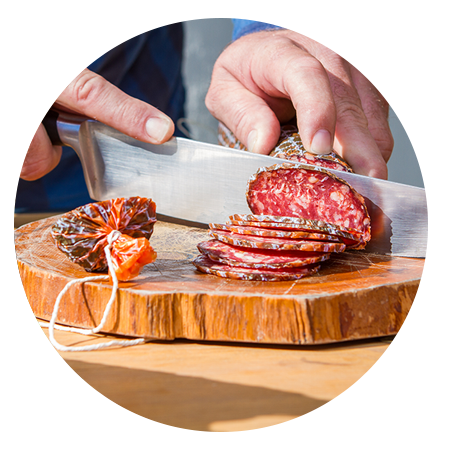 The Brandy Cask Finished Ale works really with smoked and cured meat. 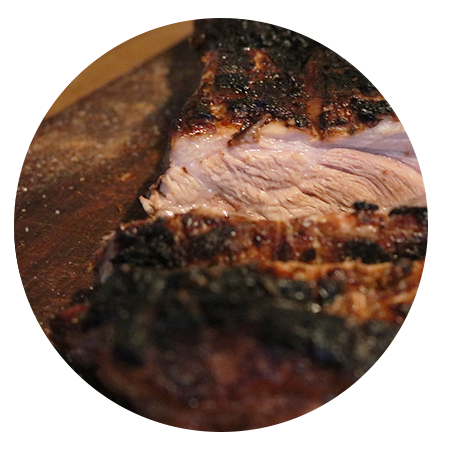 It’s a great fit with a Pork Belly. And my favourite: paired with a series of matured cheeses (including a really great blue cheese with sweetbread or biscuits). It was a really proud moment for me…. 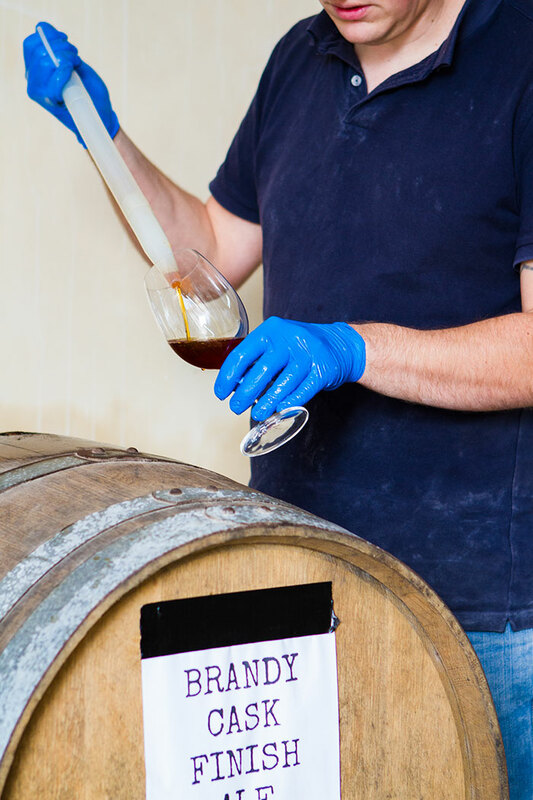 When about a year and a half after we started this journey, we finally released our Brandy Cask Finished Ale at our Brewer’s Reserve launch in August 2018, at a special event at the Black Oystercatcher. as part of our reserve range. 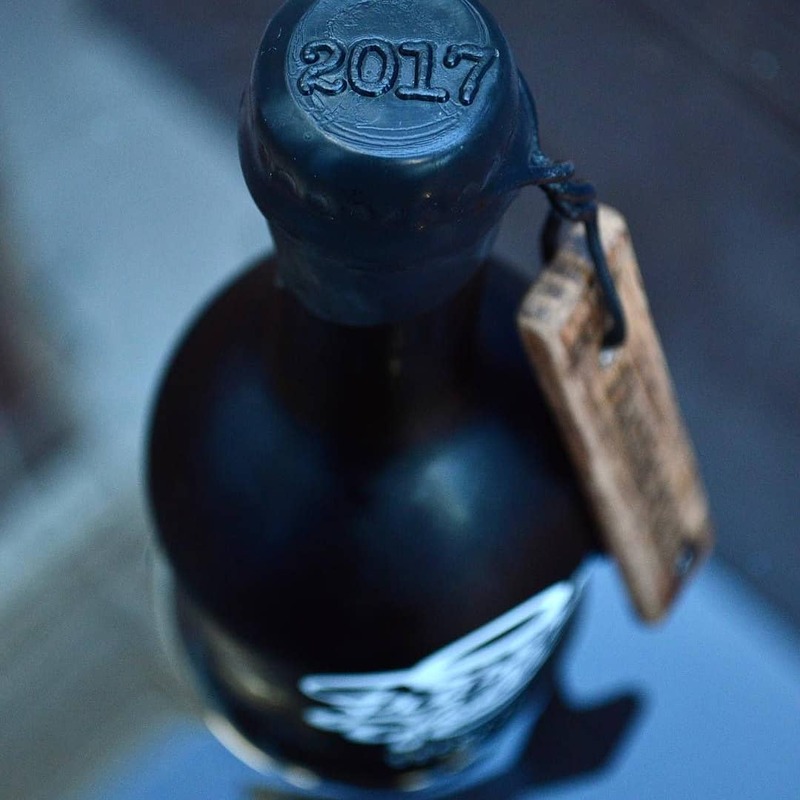 BUT – in a once-off event, 3 craft beer-loving establishments in Cape Town, Joburg and Durban will be selling an EXTREMELY limited number of Brandy Cask Finished Ale. NOW – before our ale runs out.